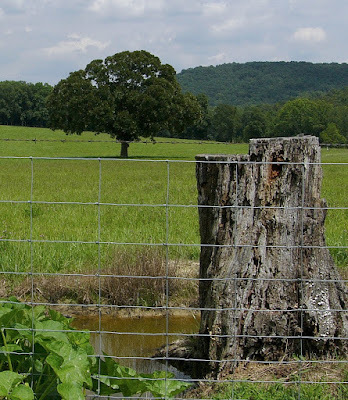 Today I'm joining up with Run*A*Round Ranch Report to share some country fence photos. 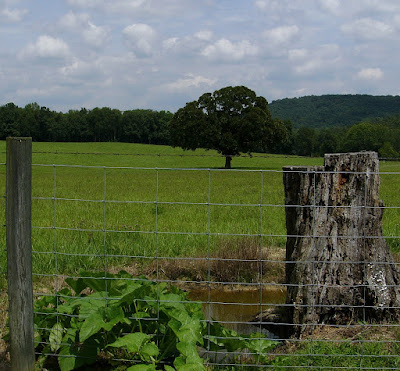 I traveled up to West Virgina yesterday, looking for some good ones, but oddly, these cute fence pictures came right from about 2 miles from my home, here in KY. Guess it's true. "The grass isn't always greener on the other side." But since I did travel up to West Virgina, I thought I'd still share a quick photo from there. Heard of the Moth Man? Whether you believe in things like this or not, I'm not trying to persuade you one way or the other. I just got a cold chill. But this depiction is about 90% accurate. 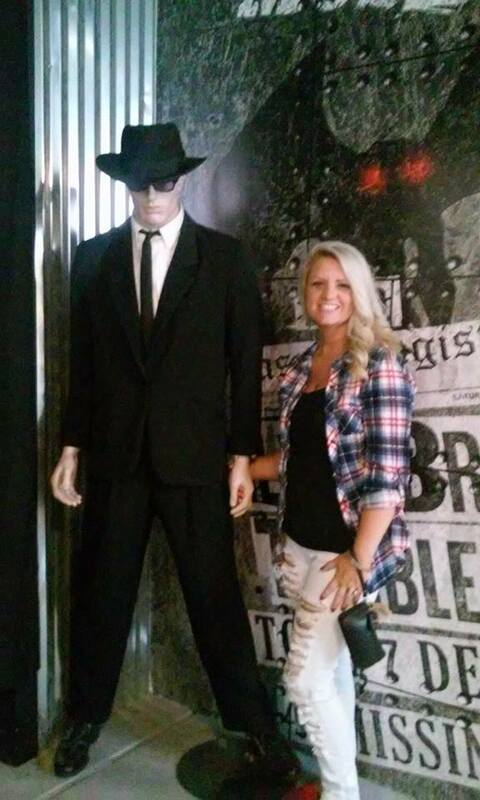 It wasn't scary being there by a man made likeness of it. But when I pass the place I did see it here in KY, I still get creeped out! And they also have a good mini-museum dedicated to detailed sightings, a bridge collapse, Men in Black and various other related interests of this creature. 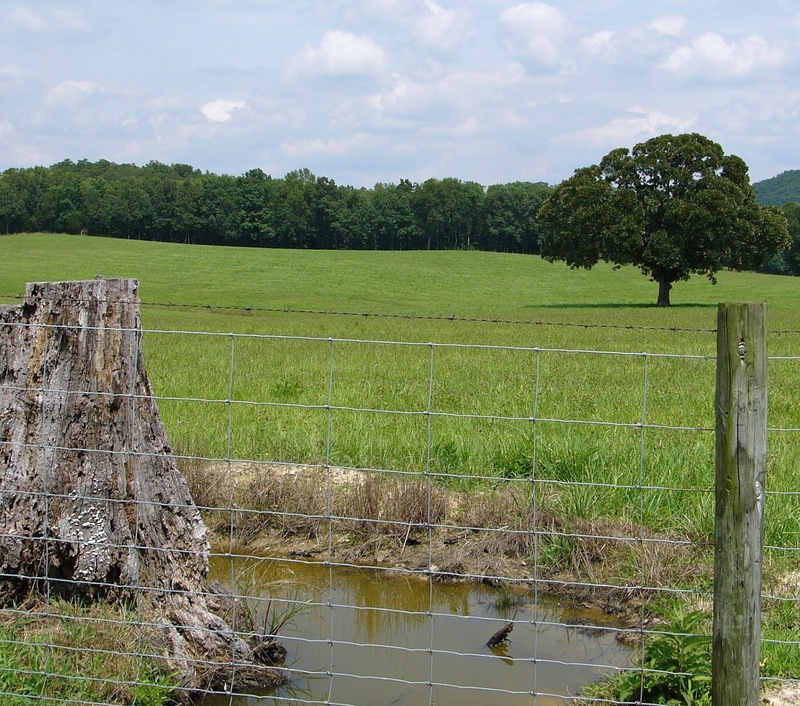 Beautiful scenes and fence captures. 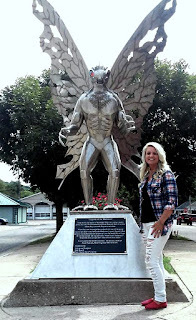 I like you and the Mothman photo. Have a happy day! Thanks so much! I am really enjoying finding these fences to snap. Who knew it would be so fun! Love the contrast of the two trees. Hi Gayle, thanks so much for stopping by! i love how green you are there! we've hit the texas late summer brown-out phase. :) i don't like spooky stuff. Hi TexWisGirl, yes we still have tons of green everywhere. But I've noticed we already have some leaves gathering in the pool and such. So it won't be long till the brown creeps up on us too. Oh I am spooked out! Don't like creepy stories!! 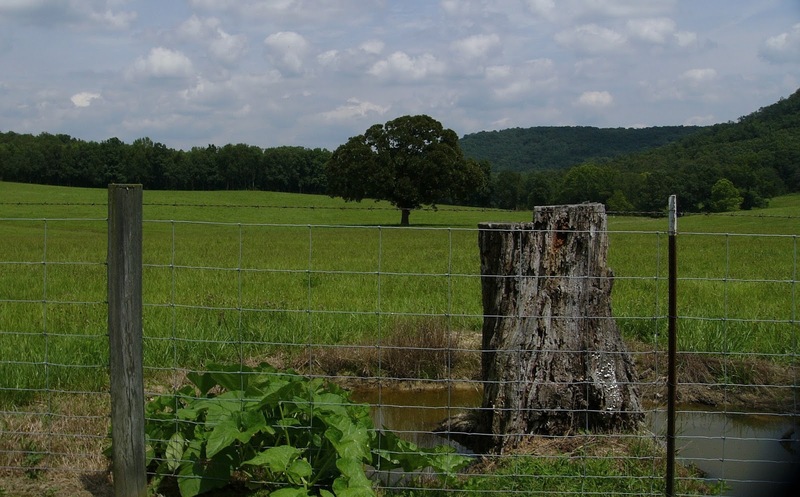 Great fence and field photos though with the tree and the stump too! 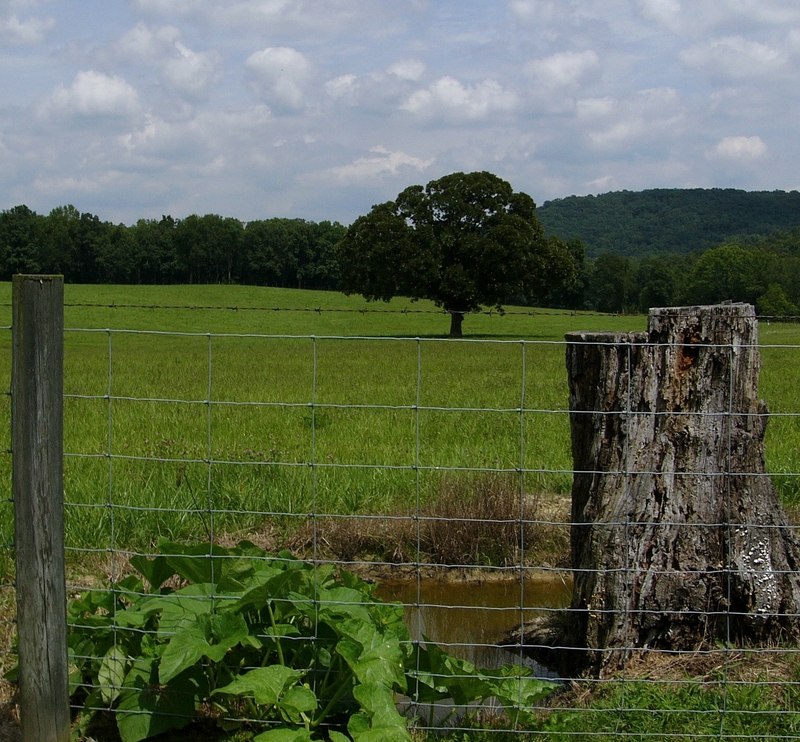 Maybe I should've put a warning in the title too, "good fences and a creepy story," lol just as a warning. Sorry didn't mean to freak you out though. Oh goodness very pretty fence views! Lovely scenes and fence. 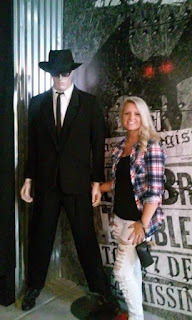 You are looking good beside the man in black! Thank you so much Margaret! Hope you have a great rest of the day! What a lovely country fence scene. - Moth Man, nope never heard of him and from the looks of his depiction I don't think I want too! I wish I'd never heard of him either lol. You are kidding me, right? A Moth man. Wow, well, that's a first for me. Hi Lantane, I wish I was kidding. So many townspeople and such saw this thing between a 13 month span, to the day, before their towns bridge collapse, (the bridge was inspected and concluded it faulted because of the 13th connector oddly.) So with that wide time span, it allowed for many eye witness stories. Not counting the many like mine that they have never heard of. Hi Bruce! Yes it does, doesn't it. I often think back and try to picture the ole' farmers that first put these up. That'd be some cool photos to see, wouldn't it? Whoa, that's pretty creepy. I'm sure I'd have nightmares. Things like that stick in my head a loooong time! Hi! Yes, I know. It has been around 20 years now and I still think about it when I am by myself, going outside after dark or mainly just when I pass the area I saw it. Weird feeling that I do not ever feel that will go away. Hi, thanks so much! I just clicked over. Looks like a great place for history pics and stories! Great pics, Moth Man is hysterical!